Home > Members Only Articles > Marketing > Buy cheap, buy twice. Gain immediate access to all of our current articles, the question-and-answer forums, free books, courses, widgets and article archives. Click here for details on how to join. If something is inexpensive, it is probably poorly made or will wear out quickly (and one will have to purchase it again). 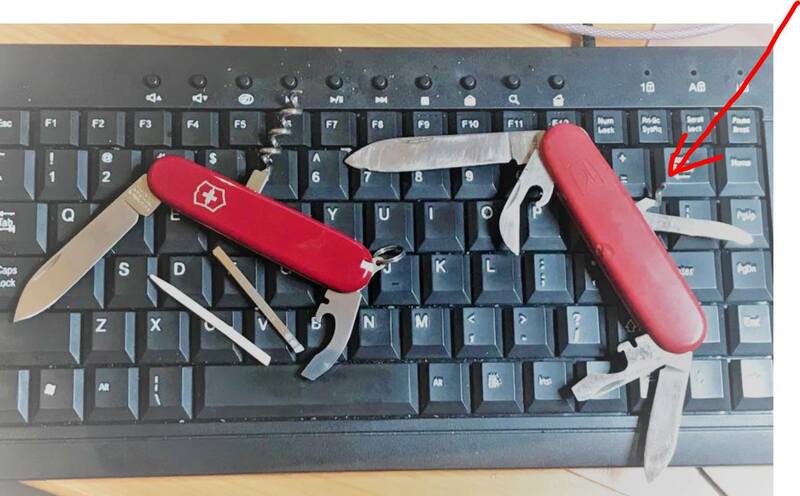 On the right side, you see a knock-off copy of a Swiss army knife that has accompanied me on at least 150 overseas trips, over the past 15 years. I have received it as a corporate gift somewhere. As you can see in the photo, the corkscrew has recently broken off, the result of the resistance of a hard-sitting cork of a bottle of red wine from Chile against a super-heavyweight powerlifter pulling it out. On the left side, you see my catch of today. I have today replaced my travel companion for the last decade by a good one. I was in a Swiss restaurant where they sell the original. I bought one for 12 US$, because it comes with a lifetime guarantee. My new travel companion is much sleeker than the knock-off, a tool that is joyful to hold. And it comes with much fewer blades that achieve the same functions as the copy, plus a plastic toothpick that can be used as a picnic fork. My new original Swiss Army knife will very likely survive me, if not stolen before that by some airport security thug. Nonsense! Don’t believe this quote. Sign up for our free Tip of the Week!